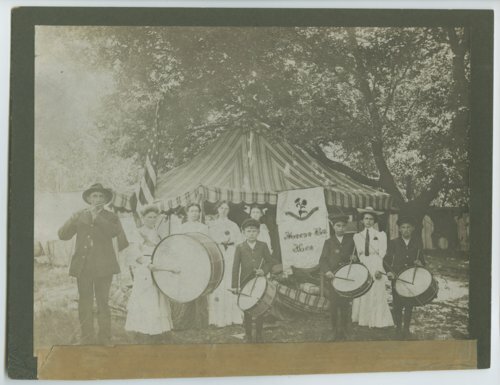 This is a photograph showing Major George Mallonee and his family drum corps at the State Soldiers Home at Fort Dodge, Kansas. George had eighteen children and all of them were musicians. He served in Co. H, 52nd Ohio Infantry Volunteers during the Civil War.